The online bulletin management system (acalog™) contains a number of features to assist you, including advanced search options, intuitive navigation, and a personal portfolio to store favorite information and policies. Should you have questions about the class schedule, please contact the Registrar's Office, Orr Center, Room 1075, 812-464-1762, 800-467-1965, option #3, or click Support to email a question. Looking for the USI Bulletin? Select the desired bulletin from the drop-down menu in the top right corner. The University of Southern Indiana Class Schedule contains important semester dates and other valuable information to help in planning your semester at USI. It includes details about admission, placement testing, new student orientation, financial assistance, tuition and billing, Core 39, graduation, and many other academic policies. It also includes the registration calendar, instructions for schedule revisions and withdrawals, the final exam schedule, and much more. Students and faculty should refer to the class schedule throughout the entire semester. The fall schedule is published in early March of each year; the spring and summer schedules are published in early October of each year. Make an appointment with your advisor, who can explain degree requirements for various majors, offer advice on career opportunities available in your major, answer your questions about academic programs, and suggest other campus offices to visit for support and direction. 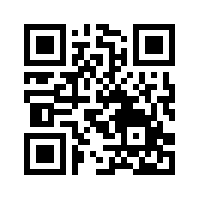 The mobile application is available at http://m.bulletin.usi.edu or can be accessed by scanning the QR (Quick Resource) code below with your smart phone QR reader app. The University, through appropriate processes, reserves the right to add, amend, or repeal programs, policies, procedures, regulations, fees, and announcements contained in the bulletin and class schedule. The University reserves the right to make change in the class offerings or assigned teachers.